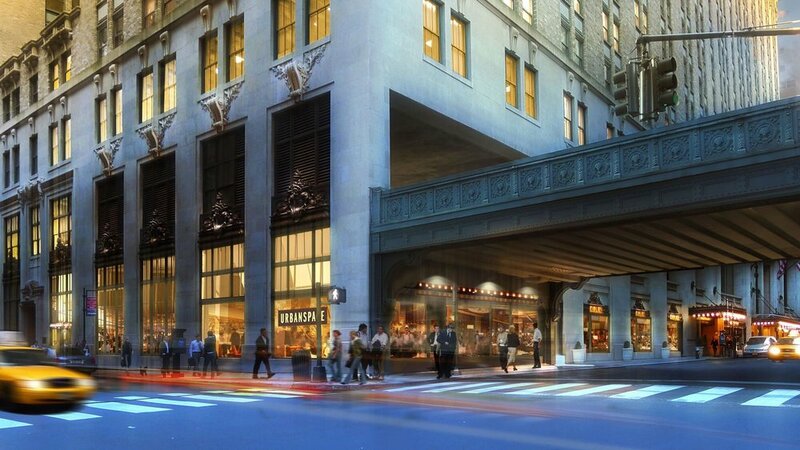 A stone’s throw away from Grand Central Terminal, Urbanspace @ Vanderbilt brings over 20 artisanal and chef-driven food concepts to the heart of Midtown Manhattan. 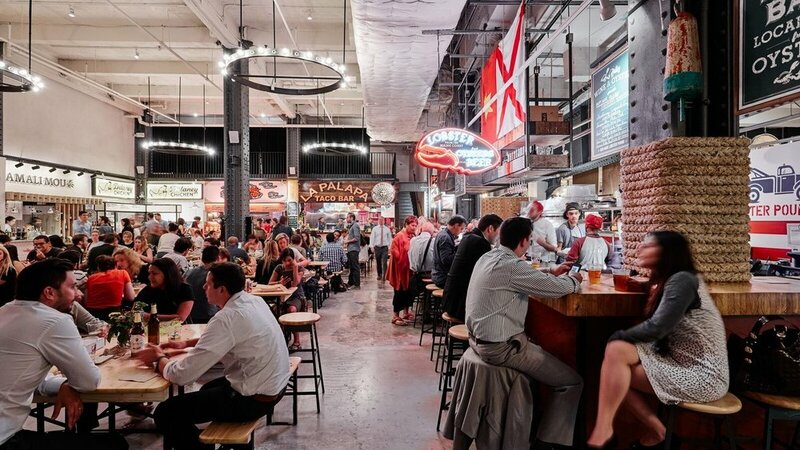 As a year-round culinary destination, Urbanspace @ Vanderbilt has quickly become one of New York’s most buzzed about food halls, featuring an unbeatable selection of rotating concepts inside a truly iconic New York space. Select Vendors remain open until 10:00PM on Wed - Fri. Sustainable Greek food inspired by the cuisine of Mykonos, serving gyros, salads, dips, and an extensive wine list. Classic American Burgers with a Mediterranean influence for the health-conscious foddies seeking high quality, guilt-free American burgers. Named best burger in New York on Tripadvisor! Serving antibiotic and hormone free chicken , biscuits, mac and cheese, and hand cut french fries. Serving small batch, freshly baked doughnuts with flavors that rotate and change seasonally. A farm to market, fast casual salad shop. Serving locally sourced ingredients and cocktails. Serving soup with high quality ingredients, proper techniques, a maniacal attention to detail, with creative twists, making soup taste the way it should. Serving the freshest and locally-sourced ingredients in sushi burritos and poke bowls. Redefining what you know about Korean Barbecue. Korilla brings you the best of Korean cooking, in a format you already love. Elevating the precise craft of true Japanese ramen by making it into a take-away format. Serving Mexico City tacos and many other authentic Mexican specialties from various regions. Serving cold pressed juice is packed with easily digestible raw vitamins, minerals and enzymes from fresh fruits and vegetables. Serving skewer-grilled ingredients stuffed in buttery paratha flatbread and topped with chutneys and spices. A popular street food of Kolkata, India. Serving artisan sandwiches and sides with a specialty in slow-braised meats. Serving traditional Northern Chinese street crepes ('jianbing', 煎饼). A Bakery adventurously exploring culinary traditions with an unexpected twist, thoughtfully melding sweet and savory with a touch of spice. Serving sustainably sourced, locally roasted coffee that celebrates quality and complexity in every cup. Bringing sensational lobster rolls and seafood straight from the Maine coast to New York City. Serving their famous made to order wood-fired pizza, with Bushwick charm. Serving 100% sustainable seafood, sourced as close to home as possible, and most importantly delicious flavor. Serving Japanese inspired Mexican food. Serving healthy vegetarian and vegan food such as sandwiches, bowls, salads, rolls, and burgers, and more.